This is the definitive collection of climate fiction from John Joseph Adams, the acclaimed editor of The Best American Science Fiction & Fantasy and Wastelands. These provocative stories explore our present and speculate about all of our tomorrows through terrifying struggle, and hope. 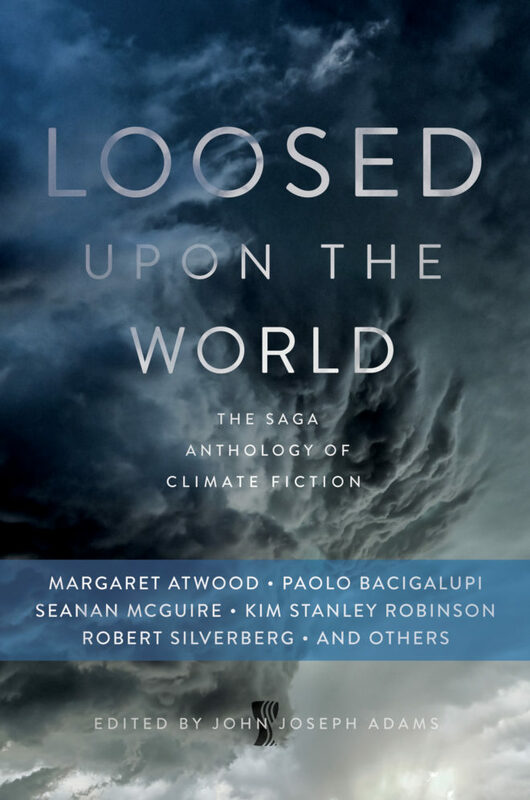 Join the bestselling authors Margaret Atwood, Paolo Bacigalupi, Nancy Kress, Kim Stanley Robinson, Jim Shepard, and over twenty others as they presciently explore the greatest threat to our future. This is a collection that will challenge readers to look at the world they live in as if for the first time. A big, impressive anthology [featuring] a grim array of futures […] These works combine effective storytelling and a passionate desire to promote taking action on climate change before it’s too late. You’d think all the stories in this volume would be more or less the same; given the topic, you’re probably expecting dreary cautionary tales filled with angst and bitterness. And you’d be completely wrong. As with most theme anthologies, half the fun is seeing how each author went off in a totally different direction. […] This may well become your environmentalist friend’s favorite book.